Dogs get sick and injured just like humans. Owners have to be prepared to care for their dogs should anything happen, as well as be capable of providing the proper health care for them. This goes beyond the regular vet visit, as owners have to be adamantly checking and providing precautionary measures to prevent injury or illness in the first place. The Sussex Spaniel is an overall fairly healthy breed considering the breed developed from a tiny gene pool. The Sussex, as with all dog breeds, has some genetic health conditions that they are more prone to than others. The most serious and potentially life threatening is PDH canine pyruvate dehydrogenase and cardiac problems. Heart problems include pulmonic stenosis, patent ductus arteriosus (PDA), and tetralogy of Fallot. It is Important to take these possible health issues into consideration before getting this breed and choose a breeder who tests, whenever possible their breeding dogs and does not breed dogs with known problems. Canine Pyruvate Dehydrogenase is characterized by intolerance to exercise and possible collapse after exercising. Limiting exercise to strolls on a leash and some dietary restrictions may help. Most affected dogs have a shortened life expectancy due to heart and lung complications. 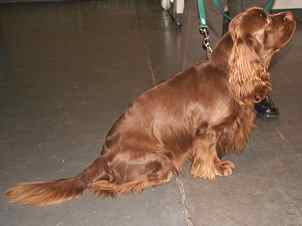 There is a DNA now available for breeders to use and the Sussex Spaniel Parent Club is working hard to eliminate this disease in their dogs. Tetralogy of Fallot –a group of four heart defects that are present at birth and includes pulmonic stenosis, right ventricular outflow stenosis, ventricular septal defect, and an overriding of the aorta which means that the aorta overlaps the wall between the 2 ventricles of the heart. A very complicated but extremely rare problem that is evident in young dogs under 6 months. Some of the symptoms include exercise intolerance, shortness of breath, and blue mucous membranes. Veterinarians can detect a heart murmur. Most puppies do not live long with this problem. Hip dysplasia is a genetic disease that causes mild to severe changes to the hip joint. The ball portion of the femur does not properly align with the socket part of the hip so the normal smooth movement of the hip joint is impaired causing pain, inflammation and arthritis. This is a very common problem in large dogs and in many smaller dogs as well. While there is an estimated 42% frequency in the Sussex Spaniel, serious complications tend to be rare. Pulmonary Stenosis or right ventricular outflow tract obstruction is a common heart problem in some breeds of dogs and is present at birth. The Pulmonary valve in the heart is unusually narrow and results in congestive heart failure from a very young age and then sudden death. Very mild cases do not show symptoms for years. In severe cases, symptoms include weakness, exercise intolerance, fainting, pale mucus membranes and a cough. Patent Ductus Arteriosis an inherited disorder of the heart where the ductus arteriosis fails to close. The ductus arteriosus is a fetal blood vessel that connects the aorta to the pulmonary artery. 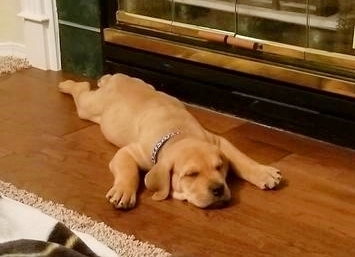 After the puppy is born, this blood vessel closes but if it remains open or patent, fetal blood flow puts extra volumes of blood into the lungs causing problems for the heart. It is first detected as a heart murmur and without surgery, to correct the problem, death occurs due to congestive heart failure. Hypothyroidism is a common disease that occurs in many different breeds and is the result of a low production of thyroid hormones. 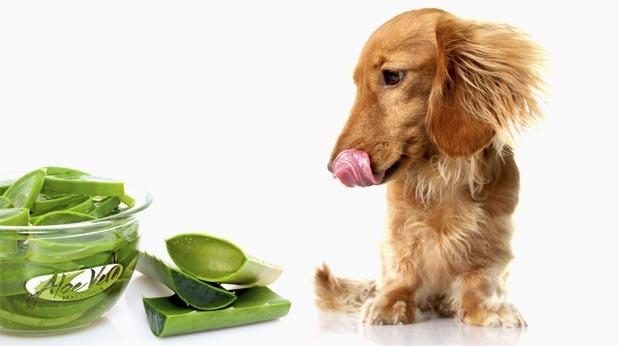 When not enough thyroid hormones are produced, dogs tend to gain weight, suffer from hair loss and skin problems. A simple blood test can confirm the problem and daily medication can be given to eliminating much of the problem. While this is considered a Sussex Spaniel Health Concern, it could easily be listed as a problem in virtually every dog breed. It's always important to find a reputable breeder when purchasing any purebred dog. It is less of an effort with this breed, however, as they are relatively rare. A good breeder will know the breed in and out, as well as be capable of answering most questions about them.